Mixing classic and contemporary worship, I STAND FOR YOU is the latest offering from the Tree 63 boys. 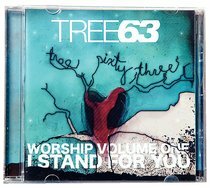 It features original worship tunes, several worship standards and some brand new versions of Tree 63 fan favourites! About "Worship Volume 1: I Stand For You"